I worked with a student in a high school once who was brilliant. I mean really brilliant with a 150 IQ. But he also had Asperger (Autism now) and had it pretty significantly. He was a really cool kid. I found him fascinating. But he faced some interesting challenges. Of course he had social challenges that impacted his interactions with peers and teachers. For instance, he really liked to help others with things he excelled at—like computers. Only problem was that he often did it by saying, “I”ll just do it stupid!” Needless to say, that didn’t go over very well. OK, the social issues people expected, right? And they cut him a good bit of slack. However, his biggest challenges were that as a student with significant intellectual skills, he never finished his assignments. He didn’t turn in his homework. He was late for everything. He thought he had to be the leader in every group activity. His mother watched him work on his homework every night...and yet the teachers always said they hadn’t gotten any turned in. He worked diligently on his research paper, but when the due date came, he hadn’t started writing it. He never had the right materials at home to do his homework. And he never seemed to know what homework needed to be done. What was going on with him? He clearly had the ability to do the work—that was never a question. So why was he failing? Was he lazy? No his mother watched him stay up to 1 a.m. working on assignments. He was lacking strong executive functioning skills. Executive functioning skills are the ability to develop and maintain goal-directed behavior. They are a set of cognitive skills that regulate and control other behaviors. They include our ability in time management, organization, problem-solving, memory, flexibility, and others. 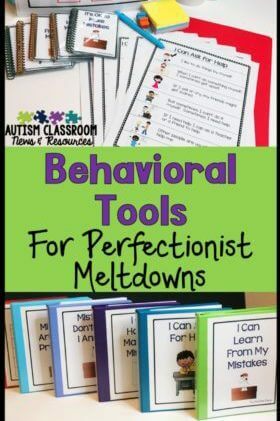 I break them down into two main categories: Thinking skills and Self-regulation. EF difficulties are partly related to the social difficulties that our students with autism have in that some of the skills for EF and social thinking overlap. Sometimes you have to organize group projects which require skills to work with others (social) and to organize (EF). Michelle Garcia Winner has a great article here on the overlap between the two. Who Has Deficits in Executive Functioning? Many people have deficits in EF, with and without formal diagnoses. Students with autism are likely to have them in part due to the social difficulties and the difficulty shifting attention. Students with attention deficit issues have difficulties with EF. Even some typical students (and teachers) have problems with EF. And it’s complicated by the fact that the solutions need to be personalized to the student’s needs. For instance the way you and I organize our teaching area might look completely different. You might insist that all the papers need to be organized in binders. I might need a file cabinet. You may break it down by student. I might divide up materials by skill. Even though we might be setting up an area for the same students, the way we prefer to organize it may be different. Doesn’t mean one of us is wrong...just that we process information differently. 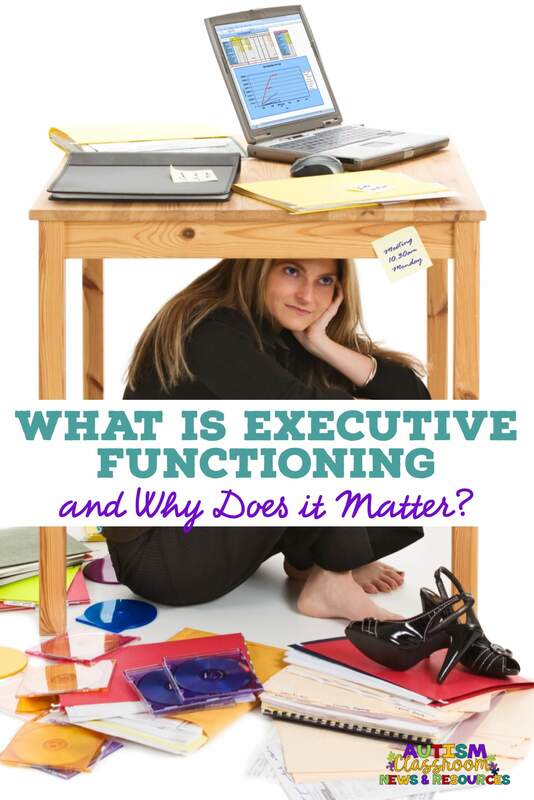 What type of skills make up executive functioning? I divide the areas affected by EF into 2 different categories. One is Thinking skills. 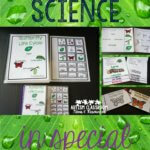 These relate to how a student thinks or organizes ideas, materials, and information. The other is self-regulation. 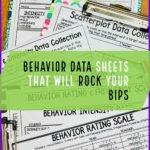 These involve HOW the student thinks...can he shift his thinking, can he initiate a task, can he manage his own organization and learning, and can he monitor and mange his own behavior. Thinking skills relate to systems or tools we can teach the student to use. This instruction can be direct and explicit. It’s teaching him to use a graphic organizer to organize his writing. Teaching him to write his homework down in his planner. Or teaching him how to plan out assignments. These are skills that teach him how to organize his thoughts. Self-regulation skills involve teaching how to become more independent in choosing and using skills we teach. It’s also teaching him when it’s a good time to use one strategy or another. And it involves teaching different ways to think or approach something. For instance, flexible thinking is something those with EF deficits struggle with. They have difficulty shifting their attention effectively between activities (e.g., checking email and writing a blog post). Or difficulty shifting their attention between different reference material when writing a research paper. Similarly, being able to move on or skip a test question they are struggling with to one that they could answer is difficulty with flexibility in thinking. Another area that is often difficult is initiation. 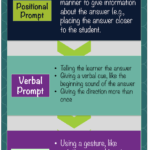 Initiating tasks is something that is a struggle for many of our students. These are the students that once they start their homework they finish it. But they just don’t get started without someone standing over them. This is something we might set up with a motivation system to help overcome the initiation speed bump. I'll be back in the next post with some Myths & Truths about EF. In the meantime, it's important to remember that executive functioning affects all of us and affects all areas of our lives. It helps to recognize out strengths and weaknesses with it and the strengths and weakness of all of our students so that we can develop strategies that are appropriate for all ages. Here are some resources that can help you to do that. This post came from a workshop from the Special Educator's Academy. To learn more about how to address EF issues in your classroom, come check us out. We have a two workshops dedicated to EF along with tons of other topics! « What Supports Do You Need to Successfully Include Students with Autism?